Is Nuclear Family System The Perfect Answer? These days nuclear family system is increasingly becoming the order of the day. Many of us opt for this kind of system out of choice and many other due to circumstances. Sometimes youngsters have to leave their parents because of better work opportunities and lifestyle. Those who have lived in joint families must have faced the advantages and disadvantages of this set up. Many times the youngsters feel that they are not given enough personal space. Their individuality gets curbed and is not given as much importance as the others. Members of a joint family often fail to create a balanced and open communication among themselves. There are often misunderstandings and misinterpretations creeping up due to that which results in quarrels. The elderly often fail to acknowledge the positive attributes that the new members bring into the family. The lack of acknowledgement of every positive aspect of every individual often causes disharmony in the family. Mutual cooperation is a must to maintain a healthy relationship. In a joint family set up, lack of mutual cooperation between the family members often becomes a cause of quarrel. Many joint families fail to create a balance and impartial relationship between the members, thereby giving rise to feuds. Due to all these and many more reasons joint family system is giving way to nuclear family set up. But is that a perfect answer? 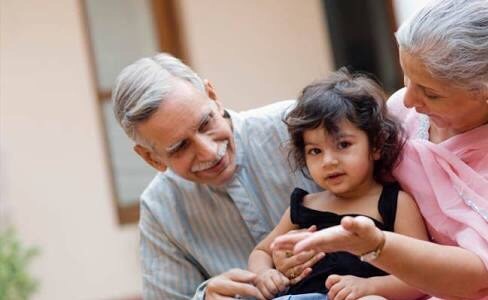 Can we really say that nuclear family system provides complete happiness? In the modern times. The expenses are very high and in order to meet the day to day expenses and maintain a decent lifestyle, both the partners have to work. With increasing pressure in the professional front, both the partners are under constant pressure. They have hectic schedules, they leave early and come back late at night. This leaves them no room to exchange pleasantries with one another. For the few waking hours at home, a lot of time is spent on mobiles and other gadgets. The next day is already planned with many appointments and assignments. It further makes one completely exhausted both physically and mentally. Soon, a feeling of guilt starts seeping in that they are not able to spend time with one another. The warm feelings and spark of love that they once had for each other begins to fade away leading to everyday quarrels and arguments. The partners begin to lose respect and regard for each other. Those who are worst affected by this situation are the kids who get neglected. They get devoid of the love and care that they deserve. By witnessing the daily arguments of their parents, they feel traumatized. 1) Senior citizens who are living alone will not feel lonely and left out. They will be able to participate in social activities. 2) The youngsters will be able to share their problems with their elders and seek emotional support and guidance. 3) Children will be under the care and supervision of elders like their grandparents. 4) By participating in social gatherings and celebrating festivals together, there will be more enjoyment and refreshment from the hectic schedules of daily life. 5) A sense of security can be established if the youngsters chose to take care of the elderly and the elderly take care of the children.